Contains a piano with mandolin feature, 38 violin and 38 flute pipes. 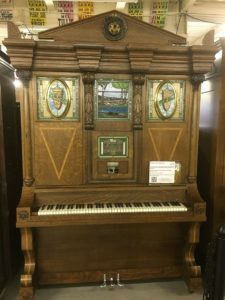 This was the last of the Wurlitzer keyboard orchestrion series. The “wonder light” at the top revolves as the machine plays.